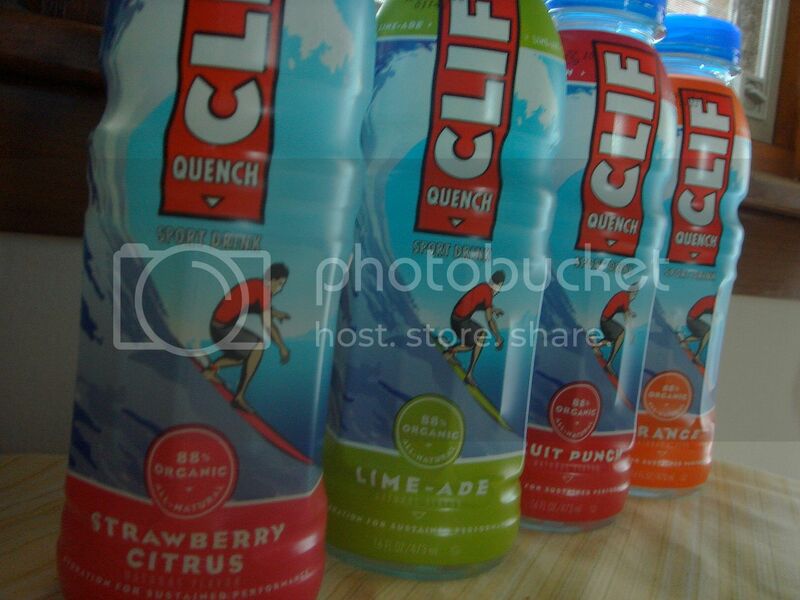 One day in the store I came across the Clif section and saw the display for Clif Quench. What is it? It's their version of an energy drink, but looking at the ingredient list showed that it was about as natural an energy drink as you could get unless you made it at home. With just filtered water, organic evaporated cane juice, citric acid, real salt, natural flavors, magnesium lactate, and potassium phosphate making up the ingredient list, Clif Quench gives you the optimal balance of 11 grams of carbs with electrolytes to work in your body in a more effective manner, moving water from your stomach to the rest of your body more easily. My impression of Clif Quench, lime flavor, was that it had a nice light taste that wasn't too sweet or seemingly too thick. With Gatorade I often have to dilute the drink 1:1 with water, and their version of Propel Water left an aftertaste from whatever artificial sweetener they used. I drank some (thoroughly chilled, which is the only way to drink Quench since, lime many cold drinks, it tastes better when cold) before and towards the end of a 10 miler and I felt it really helped, giving me a sustained energy that lasted throughout my run, but without hurting my stomach or causing any distress. I didn't feel close to parched like I might normally would have during the end as I would if I had just drank water beforehand. Six different flavors of Clif Bars! All for one lucky winner! Leave a comment telling me what your favorite activity is along with your email. The winner will be chosen noon on Saturday, EST, and the winner will be contacted shortly after. Tell your friends and anyone who might be interested (because if they win and you don't, guilt trip them into giving you some!). Good luck! US Residents only. Hopefully my next giveaway will be able to be shipped anywhere, so stay tuned for that! My favorite activity? Traveling. I like to play tourist. Whether at home or in foreign lands. ohhh! Clif bars helped me get through my college workout schedule since my classes were so close together that I never had time for anything except a clif bar on my way to class. Sweet! My favorite activity used to be running before I got pregnant, now I LOVE the elliptical machine while watching HGTV. oooh i lovessss the carrot cake one. or black cherry almond! Favorite activity: long distance running on a new trail (path, road, whatever) that I have never run on before. I love running and hiking in the woods! The cooler weather is finally upon us here on the West coast...can't wait for an autumnal jog. my favorite activity is certainly running, which stinks bc i'm injured right now. 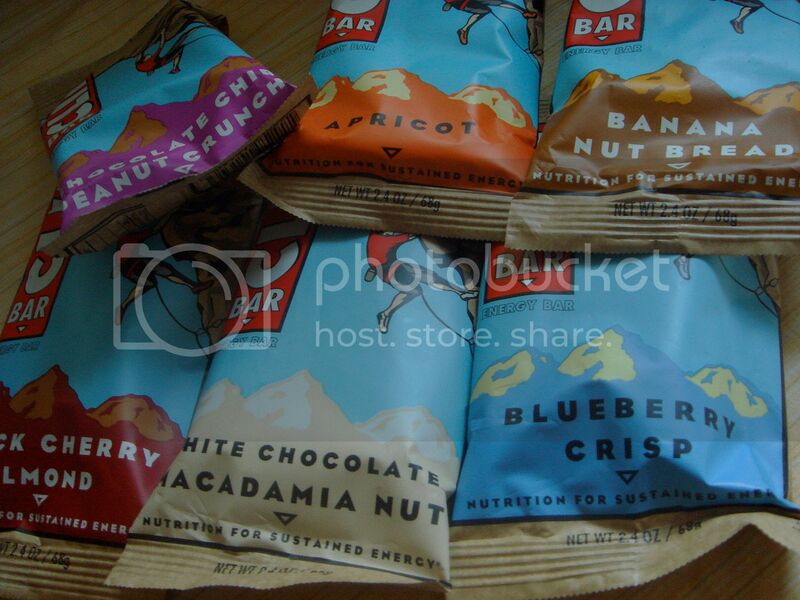 i've never tried any of those clif bar flavors, yum! My favorite activity is hiking, and I'm especially excited now that the weather is turning cooler. I am TRYING to get into trail running, but I stop too often to look around ;) Thank you for this *excellent* giveaway! !